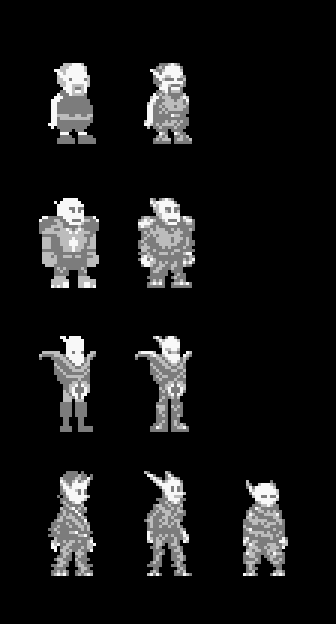 Working on some new sprites. Playing around a bit with the range of what the tech elves can look like. I like the idea that their ears are their defining characteristic, like maybe that's how elves judge enough, like, "Oh, look at that goofy long-eared fellow, what a joker." Top left, first one is my favorite. The spacing of the eyes is great! I'm thinking about doing something like this for my key art / cover art. I had been planning to color it and add an environmental background and maybe some monsters in the foreground, but once I got it inked and scanned, I kind of liked the stark simplicity of it, so I just threw it against an orange backdrop and added some light swirly patterns to break up the monotony. 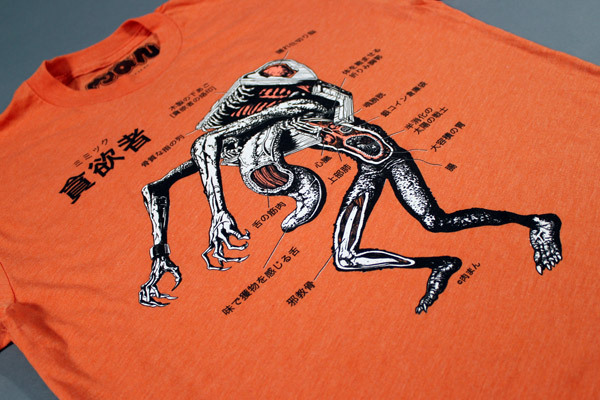 Also it reminds me a little of this awesome Dark Souls t-shirt. 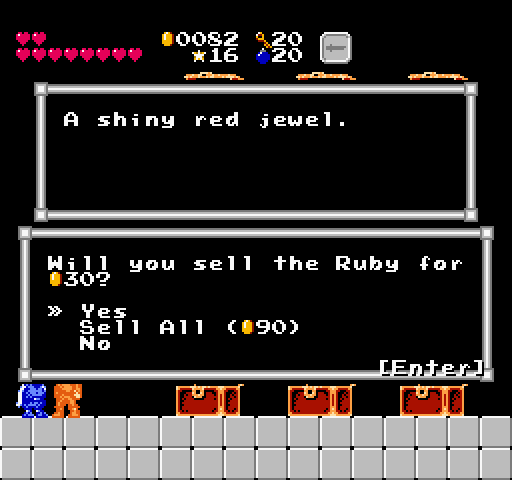 After doing more work on salable gems, I got fed up with having to sell them off one at a time, so I added a "Sell All" option along with the value of the full stack. 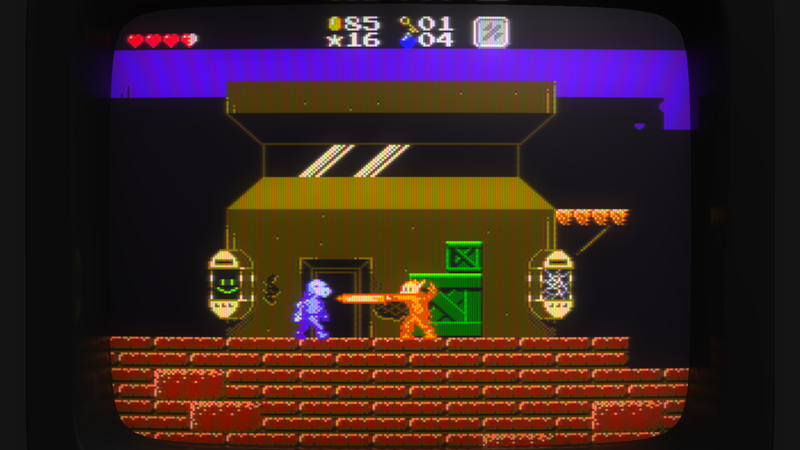 Debating whether this should be the default option. Any opinions? New vlog on the making of those mimics. Just played through the whole game for the first time. 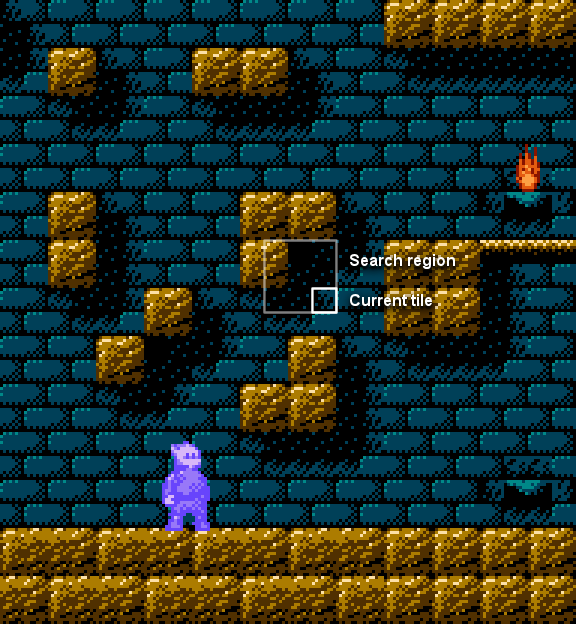 Took about an hour, which feels about right for a game of this scope. Might be a little on the easy side at the moment, especially in the second half once you've bought a few upgrades. Definitely a lot of tuning left to do there and also in item pricing. Didn't run into any really serious showstopper bugs, at least. Mostly just polish issues and the occasional non-critical bug. 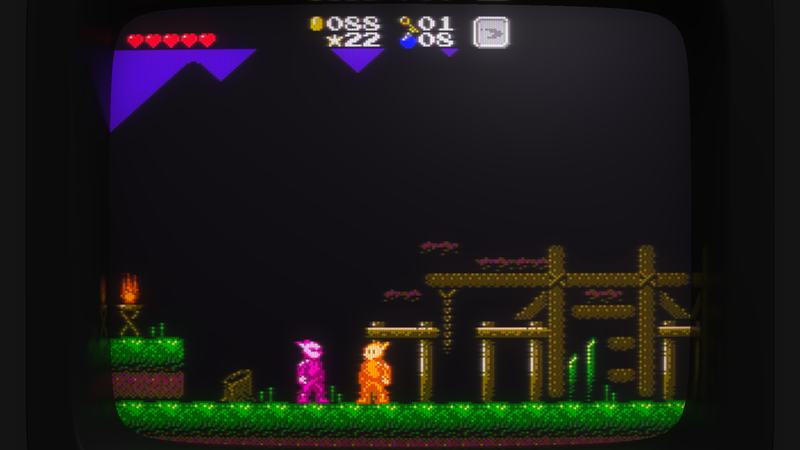 Gunmetal Arcadia Zero is pretty much done at this point. 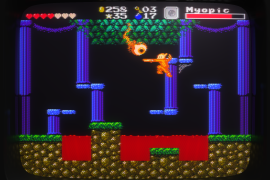 I'm gonna sit on it for a couple more weeks just in case any terrifying bugs pop up, but otherwise it should be ready to launch early next month! So it's been a couple months since I updated this. 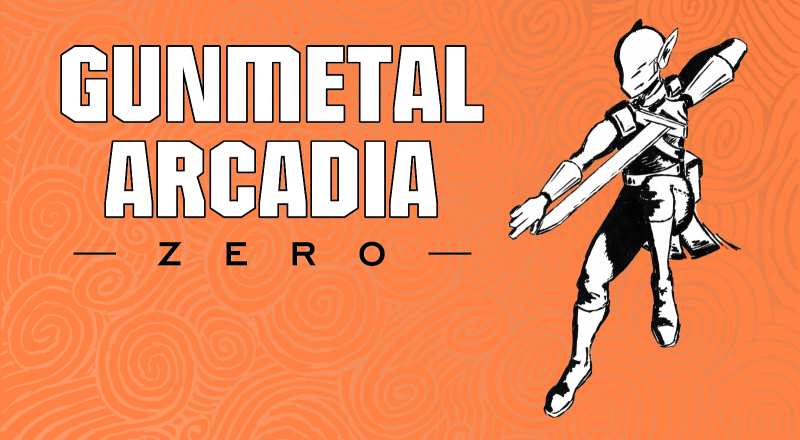 Gunmetal Arcadia Zero launched on May 6 as a Humble Original, exclusive to subscribers of Humble Monthly. It'll be available in other places eventually. 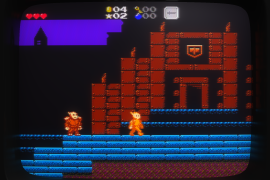 Meanwhile, I'm continuing to work on the roguelike Gunmetal Arcadia, and I've just started up my weekly blog and video series again after a few weeks of inactivity due to various roadblocks. 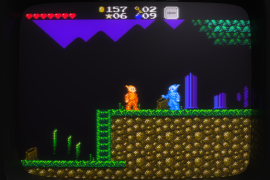 I just stumbled on this devlog, this looks great! 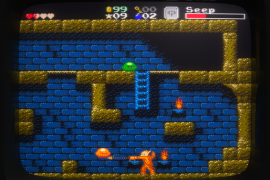 I actually just watched your GDC talk on building a better jump...not sure how you manage to pump out these games and still produce a great devlog in the process. Excited to see where this goes. Just played it for 45 minutes and I gotta say it's very good. 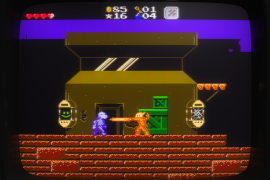 Been following the development of these games through the videos and this was I think the second build I played. It's way better than what I remember. I came across this issue quite a few times. Nothing major but it looks like it shouldn't be there. 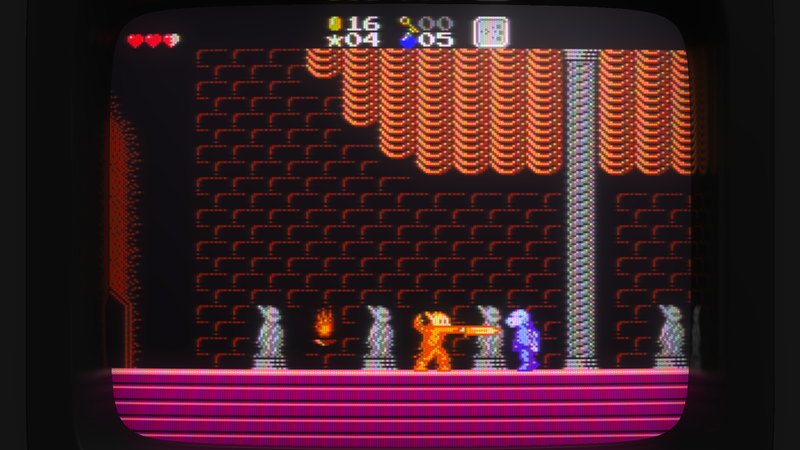 It would be cool if enemies dies when they touch the lava as well, I was kinda expecting that? Also, when you start the game, it says that there are 0 lives left. Of course this reflect the perma-death aspect of the game, but to a newcomer that doesn't know what the game is, this joke may go over its head and the player may think that he has to collect lives or that it's an actual possibility (is it?). I don't know, I'm not sure that that "joke" works that well. 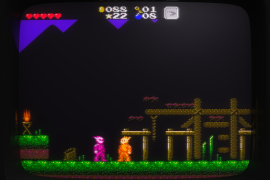 The "0 Lives Remaining" message is just a holdover from Gunmetal Arcadia Zero. It'll be removed before shipping. I was considering having lives on top of permadeath like Binding of Isaac does, but I've decided against that. 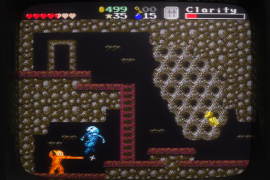 Enemies walking through lava is consistent with behavior in Zero, but it's not very interesting when enemies get stuck in there. 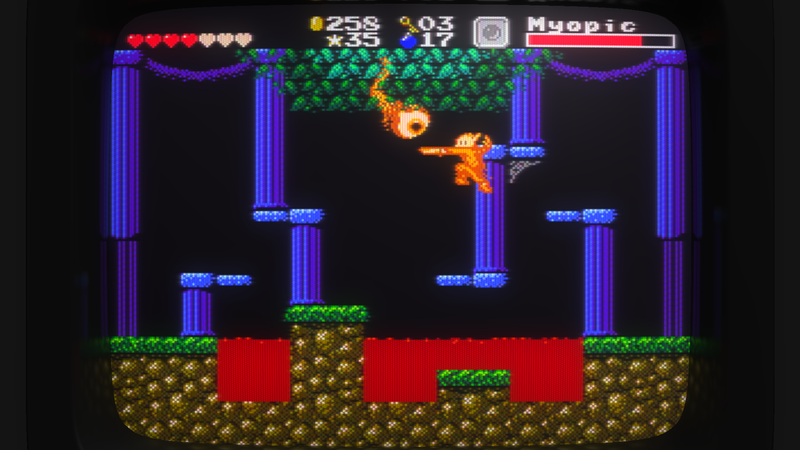 I'm discovering that lava (and spikes and other traps) bring a lot of problems to the table, so I'll probably be limiting their appearance to known-safe configurations in the future. 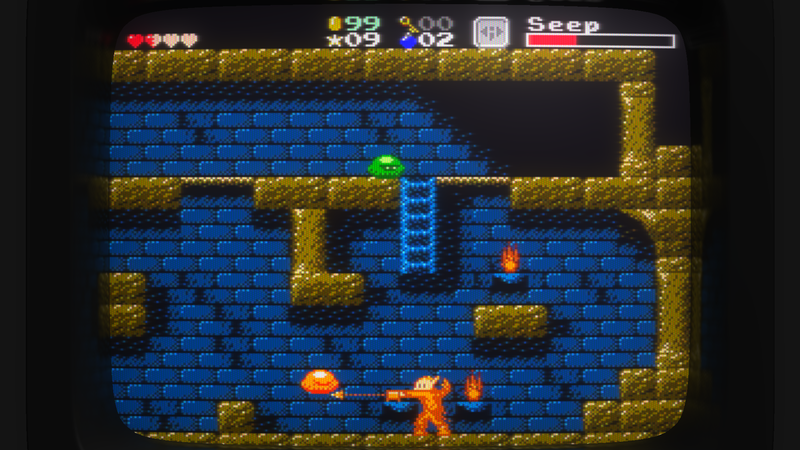 Not totally sure whether "Legacy" is the nomenclature I'm gonna stick with (because of, you know, that other roguelike action platformer), but I'm finally getting one of the core promises of this game all hooked up in the UI and stuff. Each time you play, the events of your previous session will have immediate results. Your game is awesome. 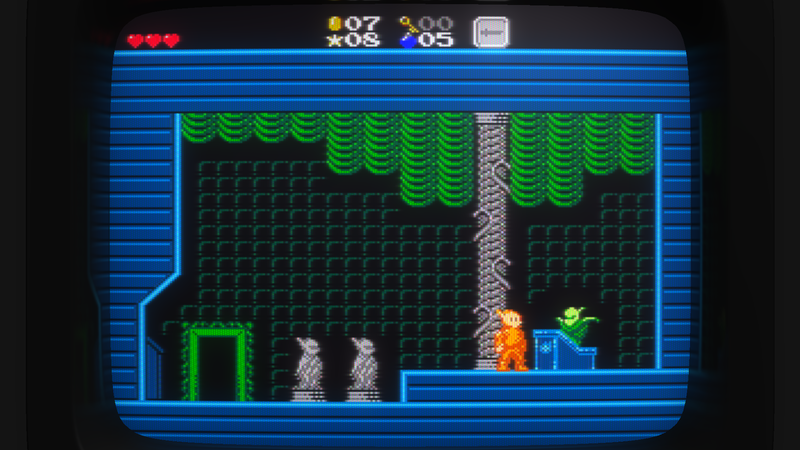 It have that Retro feel of the NES age. 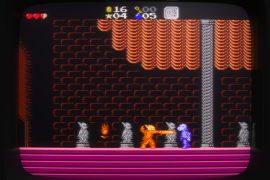 Also reminds me a lot to castlevania haha. Looking good. Posting here just to follow along! 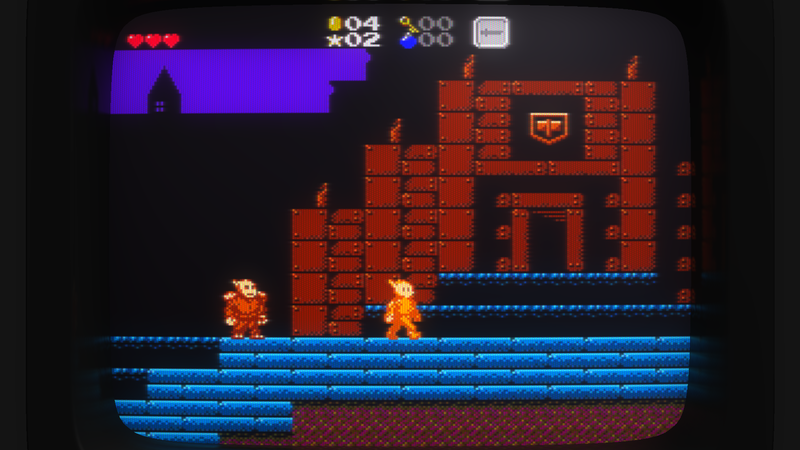 I don't think I've mentioned it here yet, but Gunmetal Arcadia has a release date: February 7, 2017. 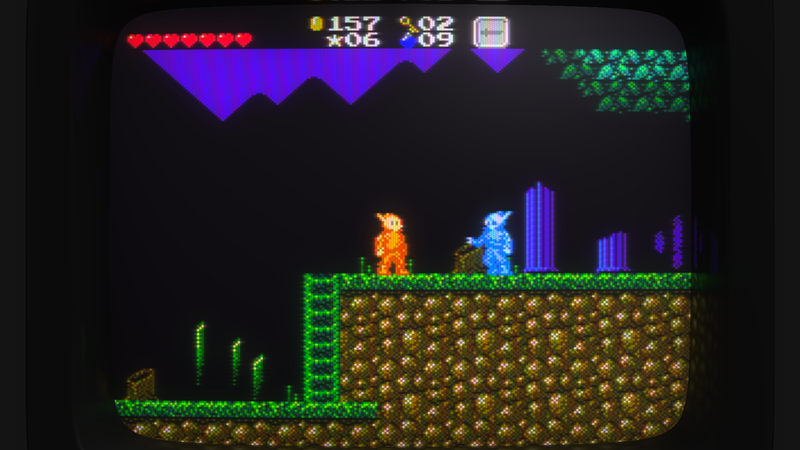 Gunmetal Arcadia Zero will also be available for all by the end of 2016, and I'll be making more noise about that as I'm able. 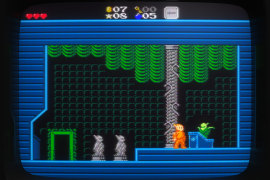 There's a new playable build here: http://gunmetalarcadia.com/wordpress/in-dev-build-13/ It's incrementally improved over the last build; major content production begins next month, so that's when new level tilesets and stuff will start appearing.